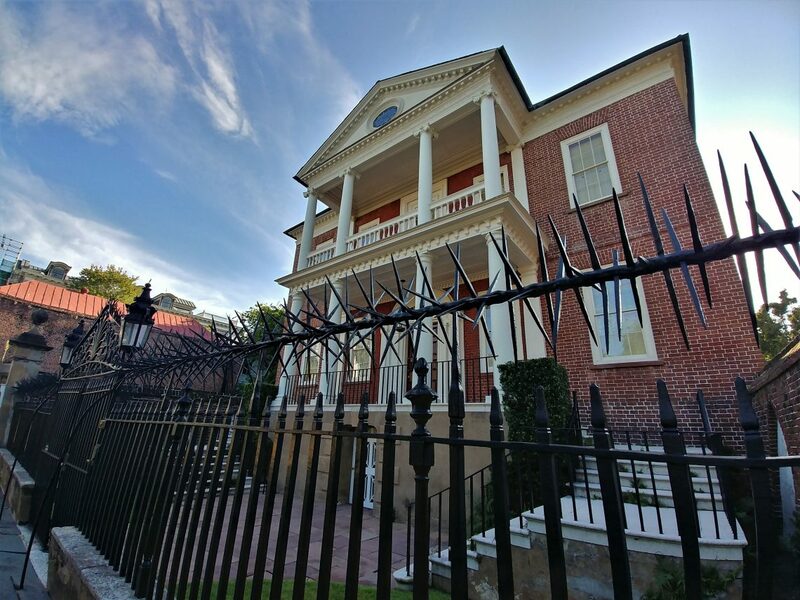 The Miles Brewton House (c. 1769) on King Street is one of the most significant buildings in Charleston and the United States. It’s a National Historic Landmark, as its whole complex, complete with its dependency buildings, is considered to be the finest example of Georgian architecture remaining in America. During the Revolutionary War it served as the headquarters for British General Henry Clinton, and towards the end of the Civil War it was the Union army headquarters. yes they were sold there! 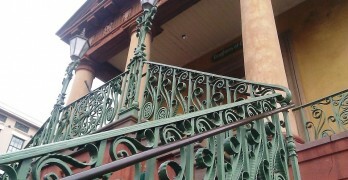 Can you explain the wrought iron pens-they could only hold people. The change is designed to promote tourism. Why would there be a confederate museum on the upper level. For years it was labeled as such then all of a sudden,it became a benign structure. I am not buying it.